The Giants are currently ranked 9th in team ERA and 12th in runs scored for the National League. Put that together and that’s an average ranking of 10.5 out of 15, not very good. Their advanced metrics, team ranks and other figures all say this is perhaps a below .500 team and guess what? 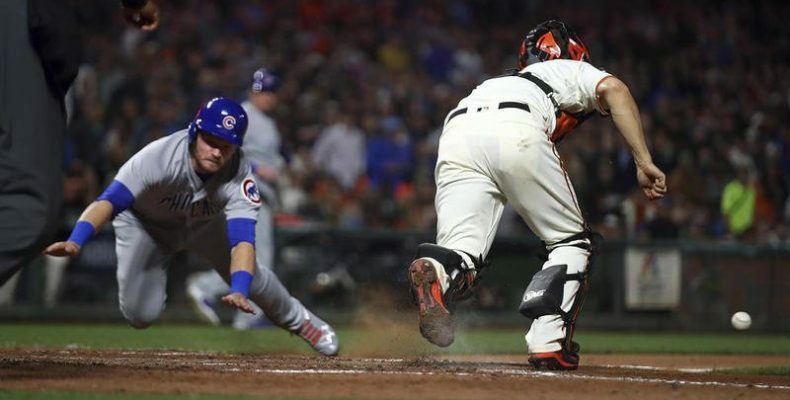 The Giants are, after last night’s frustrating defeat at the hands of Jose Quintana and the Cubs, 48-46. 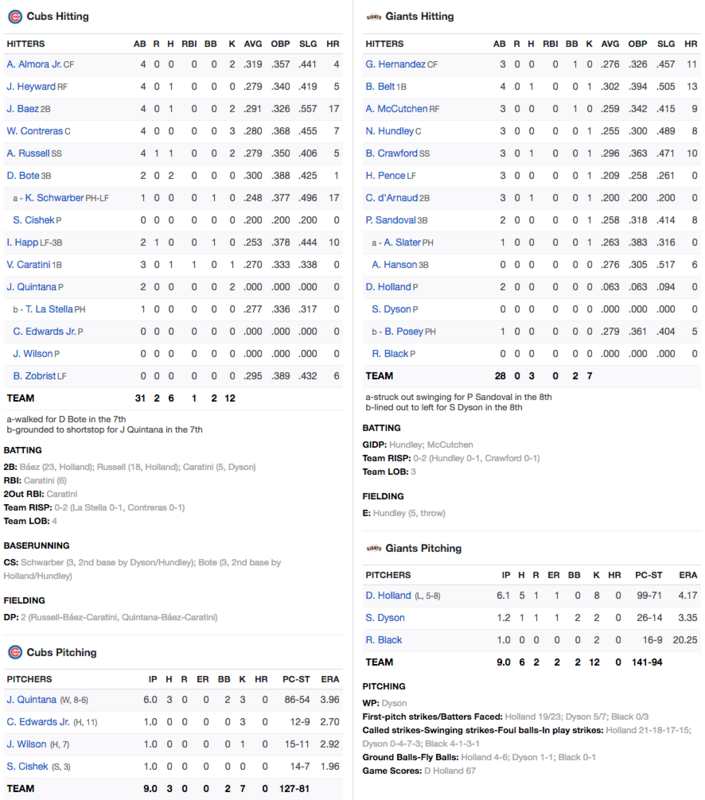 There really is not much to say other than to remember that so far this season, despite good numbers by BB9 and BCraw, the team lacks a power threat and offensive consistency. Belt’s 42 runs batted in rank 32nd in the National League! Now, sure, nobody expects the second coming of Barry Bonds but the Giants RBI and batting average numbers among their regulars are not even middle of the pack in the NL ranks for individual players. I won’t even address their home run numbers. I could go on and on but at some point we are going to have to accept that it is unlikely this team has the health and fire power to go on a sizzling summer run, say winning 24 of 30, that it will take to leapfrog four or five teams into the postseason. Derek Holland pitched great, deserving much better. A lineup without Buster, Longoria and Joe Panik is simply too hamstrung to consistently beat good teams, or even average ones.